The first post in October! While slowly translating Slime 103. Oh yeah, from this chapter onward Kotarou will be “speaking” with “” quotation mark. Isn't it since it in rural area? Since it Tochigi or Ibaraki right? Yuuji was grinding his teeth from the lack of response to the spider when his ear picked up loud noises. He descended the stairs noisily, wearing the sandals, and then he opened the entranceway door. What appeared in his eyes were child-sized creatures with green skin. There were 2 of them. While saying “Gegyagugya”, they strike at the gate with thick wooden club. However strangely, there was no sound of the club striking the metal. But “*Gago....ga....*”, as if there was an invisible wall before the gate. Yuuji who returned to his senses, immediately returned to his room. Just like a fool. He really was vexed by the lack of reaction to the giant spider. As if she want to say that as she was taken along by Yuuji with a camera in his hand to the outside. He set up the tripod, put the camera atop of it, and startup the camera. He rushed over to the gate while carrying Kotarou. He put Kotarou near his feet. He took out the prepared A4 paper with his ID written on it. Click the wireless shutter. Ran to the camera and checked the back display. Lastly, he made a victory pose. Just like a fool. He took out the memory card from the camera, entered the house while carrying Kotarou, climbed the stairway. He was neglecting the goblins. 【News Flash】 Goblin has come! Your Name! I also won’t recognize this fellow! 1-san's derpy face is annoying isn’t it? If this is CG, it will consume time and resource right? After that, no one see 1’s figure again. As expected, should I bump them off? To begin with, do you have a weapon? What experience do 1 have? You can’t possibly a protagonist of ancient martial arts series can you? 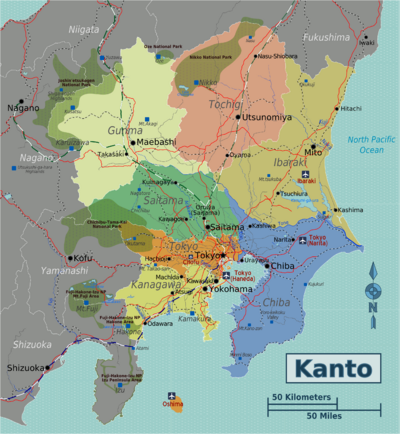 Oh yeah this is the map of Kanto Plain, so people who don’t know where Gunma, Tochigi or Ibaraki could see it (all of them is on North Kanto). And the stupid MC that doesnt think that something bad can happen if he goes near goblins. Well if he is more than 30 years old then he can use his magic to eliminate the goblins. He should aim for a Great Sage (requirement: 50 years old virgin). He did notice there's a strange field before the gate and the goblin can not cause any damage. But he should be worried about the number of hostiles. with Goblins around, it's not safe to go gathering fruits and nuts. Heya, just started reading this. His camera was a 10-years-ago item right? How could it be so good? And also, poor kotarou who has become a NEET too along with his master. How could he, the cute old dog(maybe? ), still so healthy after 10 years NEET? Is it another fiction logic? Well, he became hikiNEET for 10 years and not coming out from the house until his parent died in traffic accident. So he camera is maybe not 10 years since his dad buying it while he still alive. so this guy take a vid of him fighting gobs? Leave of pot of mushroom soup with some poisonous mushroom mixed in..
Off the goblins while they're squirming on the ground.. If I see goblins attacking my house, I'll go see a psychiatrist. wow...is this guy really an idiot?